Spinning out of the events of Hunt for Wolverine: Weapon Lost, Matt Murdock faces a nightmare beyond his wildest dreams! The “twin brother” Matt once created as a cover story — Mike Murdock — is now flesh and blood! Much more than just Daredevil’s alter alter ego, Mike has motivations of his own — plus all of Matt’s cunning and skill to bring his dreams to fruition. And things get worse as Mike zeroes in on the people Matt cares about most! If DD can survive this double trouble, the eleventh hour draws near in his fight against New York Mayor Wilson Fisk! Determined to prove that the Kingpin cheated his way into office, Matt is pulling out all the stops. 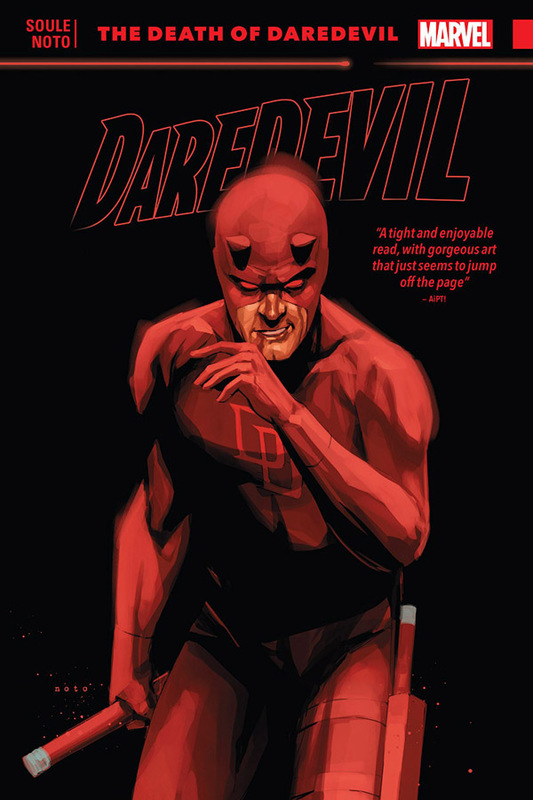 And his resolve has set him on a path that will either tear down Fisk’s empire — or cost Daredevil everything!